The S-70B-2 Bravo Seahawk and AS350BA Squirrel helicopters were formally retired from active service in the Royal Australian Navy at a ceremony today at HMAS Albatross. The Seahawk has been in the Fleet Air Arm inventory for 29 years and was operationally deployed in the Middle East throughout its entire service history. The Squirrel has served for 33 years amassing an enviable record in both operations and training. Commander Fleet Air Arm, Commodore Chris Smallhorn said both aircraft had a proud record of service to the nation. “Today we farewelled two magnificent aircraft with pride in our heart and tears in our eyes,” he said. “The AS350BA Squirrel has proven to be one of the most successful airframes in naval aviation history. “During the 1990-91 Gulf War the Squirrel carried out shipping surveillance, mine searches and top cover for helicopter boarding operations. “It was also deployed in East Timor and on numerous disaster relief operations, including the 2001 'Black Christmas Bushfire' crisis and the 2011 South East Queensland and Victoria floods. “Over the last three decades the majority of naval aviators have trained in the Squirrel and many, including myself, have wonderfully fond memories of their time flying the ‘Cyril’ as many affectionately referred to the AS350. “A machine that has served its country in peace and war and across three services, it’s a truly impressive chapter in Navy’s story,” Commodore Smallhorn said. 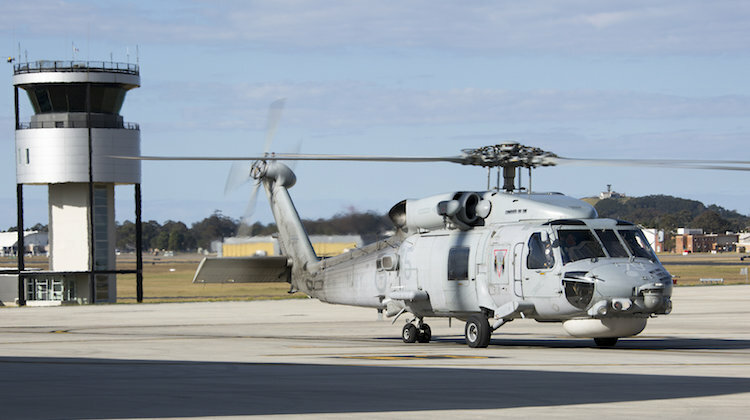 The S-70B-2 Bravo Seahawk was designed specifically for Navy’s needs when it was introduced in 1989, without doubt the most advanced maritime helicopter at that time. Labelled a Role Adaptable Weapons System due to the flexibility it brought to the Fleet, the S-70B-2 was proved a magnificent combat helicopter for anti-submarine and surface operations, and proved exceptional in its secondary utility type missions. The Bravo Seahawk has also come to the assistance of countless Australians and friends of Australia alike, fighting fires, flood and extreme weather events along with conducting many challenging rescue operations at sea, one of the most famous and difficult being during the ill-fated the 1998 Sydney to Hobart yacht race. 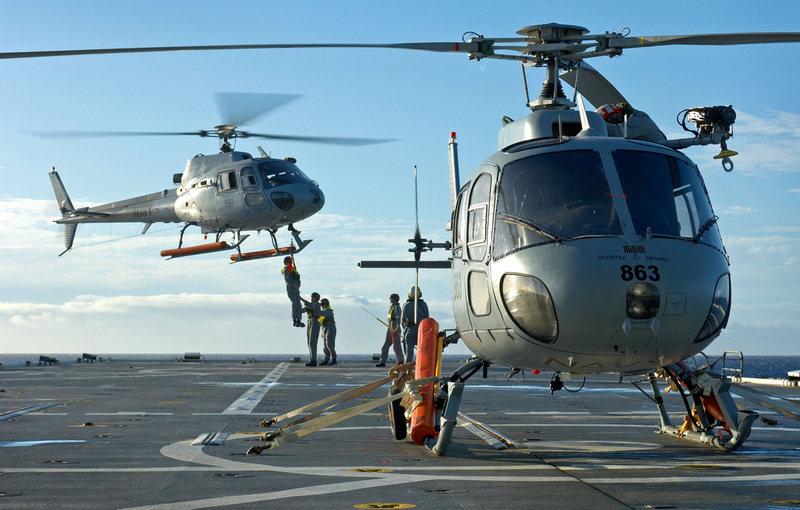 “The operational and safety record of the Bravo is exceptional by any measure,” Commodore Smallhorn said. “Today’s ceremony was of course a tribute to the aircraft, but more so in my view to the sailors and officers who maintained and flew these aircraft, and to the extraordinary, and at time herculean, efforts of the military, public service and industry folks who make up the support agencies and systems that kept these complex weapon systems on the front line each day. om smili, itulo kesenenganmyu seahawk ran. om palu gak abis2 nya dia ama faidefen pawa...hahaha..mau naturalisasi kah om palu..saya dukung klu mau...igt kata prabowo..1000 kawan tlalu sdikit,1 musuh tlalu byk..ayoh lah...jgn malu2 om..trump,putin,jin ping aja butuh kawan..masak om palu sdiri sdiri..
No, no, sekarang itu bukan kesenenganku lagi...soalnya udah tergantikan oleh "no, no live"
World Class Navy ngk keberatan tuh kalo dihibahin Bravo ex RAN..he,he..